The young adults are having a bowling night at Bowlero Milford in Milford, CT. 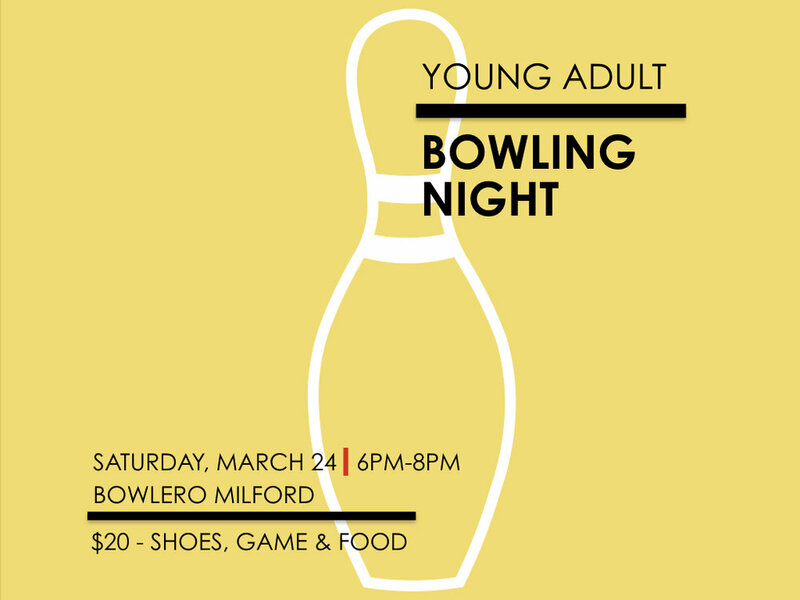 The cost will be $20 per person which includes a shoe rental, bowling, and food. Please meet at Bowlero Milford at 6pm. Do you need a ride? Please contact Pastor Angel and Mary Sanchez at (203) 934-0880. Sign up below or email lrivera@yourgateway.com.